Stacy Adimando is a food and travel journalist, cookbook author, recipe developer, and the Executive Editor at Saveur magazine. Stacy is the former Test Kitchen Director at Saveur, Food Editor at Every Day with Rachael Ray, and recipes editor at Food Network. She has written for a variety of food, travel and lifestyle publications including NPR, Bon Appétit, Food & Wine, Vogue, Forbes, Conde Nast Traveler, Gastronomica, and many more. 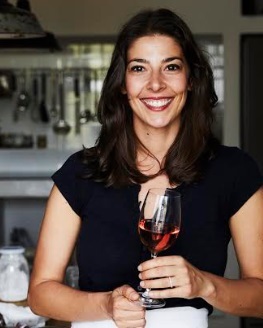 She is a graduate of Wake Forest University and the Institute of Culinary Education's Culinary Arts program in New York City, and trained inside the kitchen of farm-to-table pioneer Peter Hoffman's Savoy restaurant in Manhattan. Stacy is the author of several cookbooks. Most recently she released the James Beard-nominated Nopalito (Ten Speed Press, Spring 2017) in co-authorship with the chef from San Francisco's Nopalito restaurant, and Around the Fire (Ten Speed Press, Spring 2016) in co-authorship with the James Beard Award-winning chefs from Ox restaurant in Portland. Her Short Stack Editions Volume 21: Cherries debuted in Spring 2016. Stacy's broad areas of cooking expertise include regional Italian cuisine, modern farm-to-table food, fine baking, and classic culinary technique. You can follow her food and travel journeys @stacy_adimando. I graduated from college with an English degree and wanted to break into magazine editing in New York City. At one point, I was working three unpaid internships at once. The hard work led to a job at a great magazine (though no longer in print) about natural living, and no one on the staff there happened to know much about food—this was before the food boom or anyone knew what a food blog was. I come from a big Italian-American family and had cooked a lot at home, so I jumped in and started tackling articles. Before long I was writing stories about growing your own food and interviewing Michael Pollan. From there I didn’t look back. For five years I was the Food Editor at Rachael Ray’s magazine and, during the first year, I put myself through culinary school at night. Then went on to work for Food Network Magazine, freelance for a number of outlets (NPR, Bon Appetit, Food & Wine, Conde Nast Traveler, Forbes, etc.) and co-author cookbooks with chefs around the country. I just won my first James Beard Award for a cookbook called Nopalito. I think there’s a return to authenticity happening in food writing. It’s no longer that important to stay on top of every single trendy restaurant opening in town, and there are plenty of people critiquing chefs and covering that beat already. So the rest of us are turning to writing about what we know from our backgrounds and personal food experiences. There’s more nostalgia, more cultural context, more diversity—it’s lovely. Branded partnerships are still the new frontier, but I think there could be so much more done with this kind of content to make it more meaningful and mutually beneficial to the brands and the readers. Currently, so much of this style of content risks coming across as an advertisement, and sometimes an insincere one. But every brand has a story and a heritage. (Some more compelling than others.) And I think we can go deeper when we conceptualize this type of partner content and what we can create together. I’ve been at Saveur for two years now. But the magazine has been in print for 24 years, always with the goal of telling authentic, real-life food stories from destinations near and far. While I’m here, that will never change. Rather than follow trends or over-stylize food, Saveur has always sought to find and share stories about food and cuisines straight from their source and stay loyal to traditions. It’s for food lovers who are up for stepping outside their comfort zone and want to know more about the wide world of food across the globe. My goal is to preserve that legacy of the brand while reaching a wider range of readers—more diverse and maybe from a broader range of age groups, cooking styles, and cooking expertise. We’ve updated the design of the magazine, made the voice more joyful and celebratory and inclusive, and packed more delicious and usable recipes back into the issues. The stories and the recipes are equally strong and wonderful. We’ve introduced some really exciting new sections and features into the print issues—like a new global cooking section called Range, a freshened up Test Kitchen section that shows a deeper look into Saveur’s on-site kitchen and has amazing information from our staff, and a map that shows all of the destinations we cover in each issue. We also updated the cover design and have implemented some bolder photography and graphic design throughout the issue. Now that the print magazine has a fresh identity and our team is in a great rhythm with it, I’d like to turn our focus toward the website and social channels. 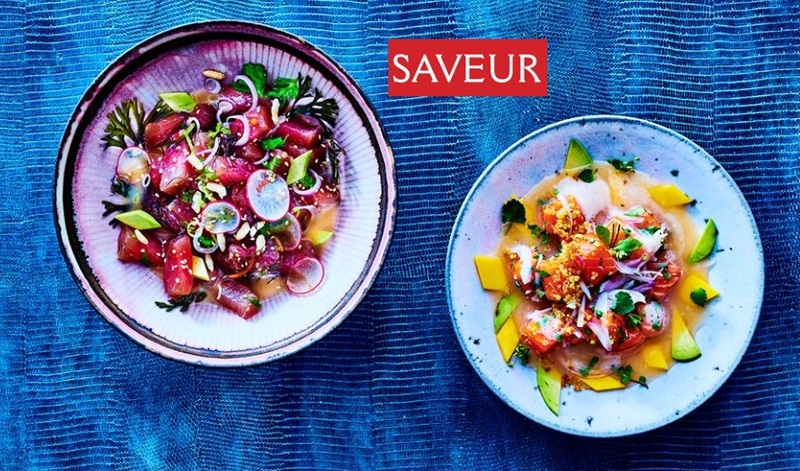 That’s the next phase of Saveur’s evolution. The sales and marketing teams and I are opening up our visions and have a lot of ideas and initiatives in progress. We really do feel like Saveur is special in the industry in the way that we approach food from a global perspective, and I never want that to change. Keeping that special voice and mission alive will be a combination of continuing to work with some of the most talented and insightful writers, photographers, and contributors across the planet, and opening ourselves up to some smart new partners and collaborations that have similar goals and want to reach a similar audience as we do. A difficult part for me has been leaving behind all my time in the Test Kitchen, testing and tweaking recipes from a technical standpoint on a daily basis. This was a large part of my day while I served as the Test Kitchen Director for years. Now I’m largely at the edit desk or reporting from a remote location. But I do still style a large amount of the food in our print issues, and definitely still get to taste and eat all of the recipes. So I’m able to get my kitchen fix. My hope is always that readers will walk away from an issue having learned a lot about our world through the lens of food, and that they will have at least a handful of recipes they can’t wait to cook at home. I try to create opportunity for people and encourage them to rise to it and bring their own passions along with them. There’s a point to which you sculpt a voice for a brand, and a degree to which a brand becomes the sum of the people who work for it. I want the staff here and the contributors who work with us to always feel like we can create room for their unique passions to become part of what we do. As long as the effort and the teamwork is there, it’s usually possible. There is no perfect model for how to be a food writer today. Some have a narrow focus and some broad. Some have gone to culinary school and others haven’t. All I can say is, be true to yourself and what you love. And there are probably some others out there who feel just as passionately about whatever that is as you do.